Once you’ve chosen—or even before you’ve chosen—a mortgage lender, you’ll start the prequalification to preapproval process for getting your home mortgage. It can be easy to get these terms confused if you don’t use them everyday, but we’ll try to explain the difference in a way so you can keep it straight in your head. Home loan prequalification is a back-of-the-napkin-type calculation made from numbers you self-report to a home loan officer. Home loan preapproval is a formal declaration from the home lender that they have documented the relevant financial information and how much you should be able to get approved for. So, the essential difference is that, with preapproval, all your documentation is now in place, and you can look to make an offer with confidence or, better yet, look to get an inspection, appraisal, finalize the loan, and close on the property. The importance of prequalification and preapproval letters is largely dictated by the conditions of your local real estate market and how your actual search ends up going. In a seller’s market, there’s a good chance you’ll end up competing with other buyers and have to quick decision on tight deadlines. So, on the one hand, you’ll hear that having a preapproval letter makes your offer as a buyer look more attractive dollar-for-dollar than someone who only has a prequalification letter. Should You Wait? Can You Wait? The thing is this takes time, and even prequalification can be important when entering the market as a buyer. Many sellers won’t even entertain an offer without a prequalification letter. Once you’ve had that initial conversation and chosen a mortgage lender, it’s hard-to-impossible NOT to start seeing what’s out there and looking at properties. Once you start looking, you should be prepared for the possibility that lightning strikes and that you find your dream home on the very first try. It’s just as likely that you’ll end up visiting dozens of properties, but you never know. For this reason alone, you should think about asking for a prequalification letter as soon as possible. In fact, you can do this before you’ve made a final decision about which mortgage lender you’re going to work with. Once you’ve discussed your basic financial information, most lenders will issue a prequalification as a way to get their foot in the door, but you can continue to have discussions and take meetings with other lenders. At the end of the day, the goal of prequalification to preapproval is to prove to the seller that you’re a serious buyer who’s able and intent on closing. 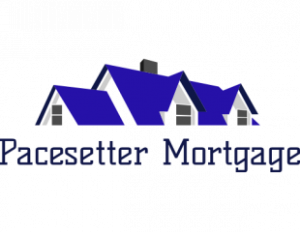 So, yes, preapproval is better prequalification, and you should start working on the preapproval as soon as you choose a mortgage lender to work with, but that doesn’t mean you should wait before looking at a home and, potentially, even making an offer. So, How Long Does Prequalification to Preapproval Take? It can take anywhere from a week to a couple months. This depends somewhat on the rules and regulations of the home lender, but even more so on the complexity and the available documentation of your financial information. Here’s one common example: It’s a lot easier to get home loans approved when they’re based on W-2 employee income that goes back several years than, say, someone with a relatively new history as a 1099 self-employed contractor. It’s easier to verify and easier to calculate the risk of income loss. This isn’t to say that you can’t get a home loan, or that it’ll necessarily take 8 weeks to get through the preapproval process if you’re a 1099 contractor, but it is one of dozens of potential complications.